Barrier systems all serve a similar purpose, whether it is crash barriers along the side of roads, corner guards or handrails. In each case, the system is designed to create separation between vehicles and property or people, and to reduce the risk of serious injuries in the event of an accident. They can also be used to boost security and restrict access in many settings. Whatever the purpose, it is important the barriers meet the required quality standards so you know they are offering the protection you need. 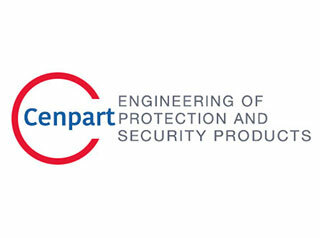 At Cenpart we manufacture a wide range of Armco barriers and other systems at our facility in the West Midlands. We take care to monitor the quality of each product carefully and ensure it meets our stringent requirements as well as those of our clients. The strongest, most durable raw materials are used in all our products, and we have tight controls in place throughout the manufacturing process. From crash barriers to handrails to column protectors, we have the skills and experience to design and manufacture bespoke systems for our clients alongside offering stock products too. This gives us a great deal of flexibility and means we can take on all kinds of projects. To further show our commitment to quality, we have expanded to offer a full installation service. This means clients can come to us for a complete service. In each case we will ensure they are placed effectively and are suitably anchored. In pursuit of upholding excellent quality, we became ISO 9001 approved in 2000. Our products are manufactured and installed in line with relevant British Standards. We work hard to keep up to date with these to ensure we always offer the safest, most reliable barrier systems. You can find out more about all of our great products on our website. If you have a unique challenge to overcome, we will find a suitable solution for you, using all of the experience we have gathered over our years in the industry.